Tag Archives for " Phil M. Jones "
The title of this post is misleading and maybe even a bit disturbing to some, so let me clarify that I mean for good only! By studying human behavior and language, you can put yourself in the best possible position to do good and help others by virtue of the products and services – and more importantly – the results you can bring. My guest for this week’s episode of the Duct Tape Marketing Podcast is Phil M. Jones. Jones is a sales trainer, speaker, and best-selling author. He and I discuss his mission to teach the world how to sell by helping non-salespeople understand how they can use magic words to achieve more influence, stronger relationships, and more sales. 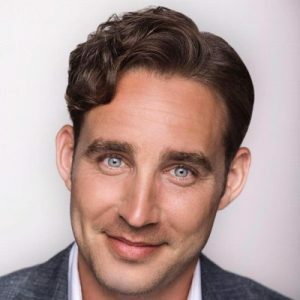 Jones is one of the most sought after speakers on the circuit and is highly regarded as the world’s leading sales trainer. From training more than two million people worldwide to coaching some of the biggest brands in the world – Phil’s mission to “teach the world to sell” has resulted in his expertise being globally recognized. What are some problem areas and common mistakes when it comes to selling? What are some of the magic words people can use to help them sell? Today, consumers research prior to buying, how does this impact the role of the salesperson? Learn more about Phil M. Jones. Buy Jones’ books and audio programs.